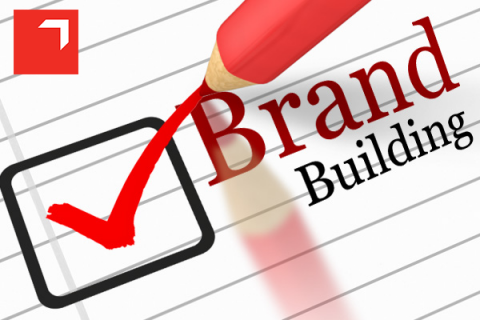 Branding is just as important for small businesses as it is for the big players. From your name and logo to your company slogan and reputation, it’s how the public knows you and is integral to your identity. As a Contractor, you are your company, and establishing a strong personal brand is essential to the growth and success of your business. Branding is not just a logo, it is the emotive heart and identity of your business. In a series of articles, Contracting PLUS offers advice, tips and know-how as to how you can go about establishing and building your personal brand, both on and off-line, in a cost effective way perhaps even free! Some brands are instantly recognisable, even without words. Consumers around the world recognise Nike’s ubiquitous “swoosh” logo, or the iconic golden arches of McDonald’s. These brands, however, represent rare exceptions even Starbucks faced criticism recently over a logo change that removed their name. For the vast majority of businesses, the key to effective branding begins with directly telling people your name. When contacts or potential clients can quickly establish who you are, you’ve made an important first step in developing a connection. Your branding should also clearly explain what it is that you do. Some Contractors address this by establishing a legal business name, such as “John Smith’s IT Consulting,” but whether you use a business name or your own, your overall branding should reflect a message that promotes and aligns with your area of focus. If you are able to answer the first two questions with your branding, then you’ve managed to achieve the first goal of branding: awareness. To be truly impactful, however, your branding should take the message a step further by demonstrating the value or benefits you offer that set you apart from your competition, such as offering innovative techniques, a unique specialisation, or industry-leading expertise. All of your branding efforts whether part of networking, marketing, or any other area that increases visibility should express a consistent theme and message. Visual components, design elements, key information, and especially overall messaging should not vary from one place to the next. In addition, as a Contractor you are often viewed as representing your brand even in your personal life and actions. Keep this in mind in your public non-business communications and actions, including social media networks; differing messages promoted by your personal and professional actions could create a perception of dishonesty or lack of trustworthiness. A well-established brand also needs a well-established online presence, not just in social media, but on their own professional website. We go into further detail about digital marketing, and defy the myths in this series. Take advantage of online outlets to share valuable industry information that educates or informs others. This can be done through establishing a company blog, sharing information on social media networks, or actively offering assistance through forums such as LinkedIn. Contracting PLUS has an established Contractors page on LinkedIn and would welcome and support contributions from Contractors. Offer to speak at networking events or forums, or host your own. Contracting PLUS would support and Contractor networking events. If this is something you would like to pursue contact thomasina.larkin@contractingplus to discuss further.